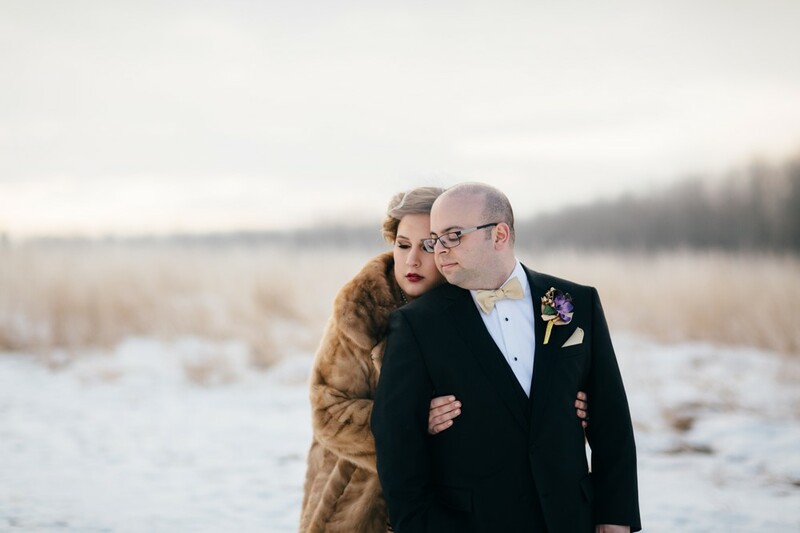 The day was crisp, cold, the classic Edmonton winter day. 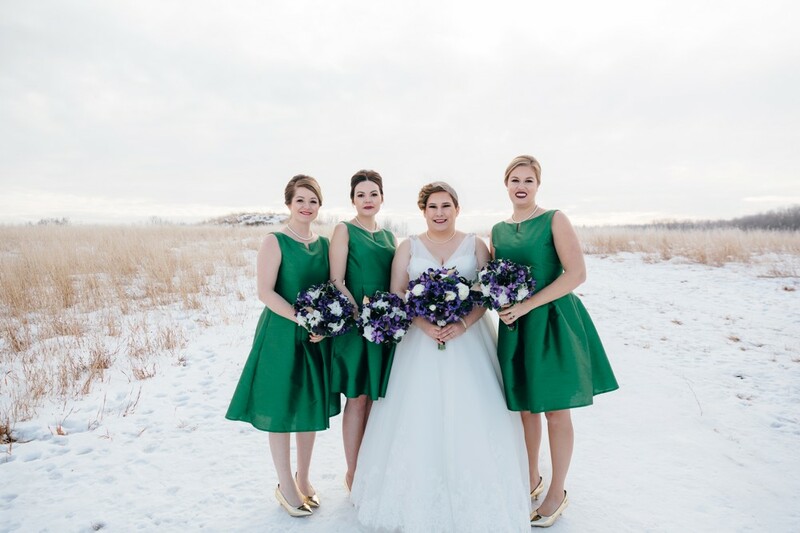 The girls donned their retro dresses, Theresa’s mom sat in the living room finishing up her speech. 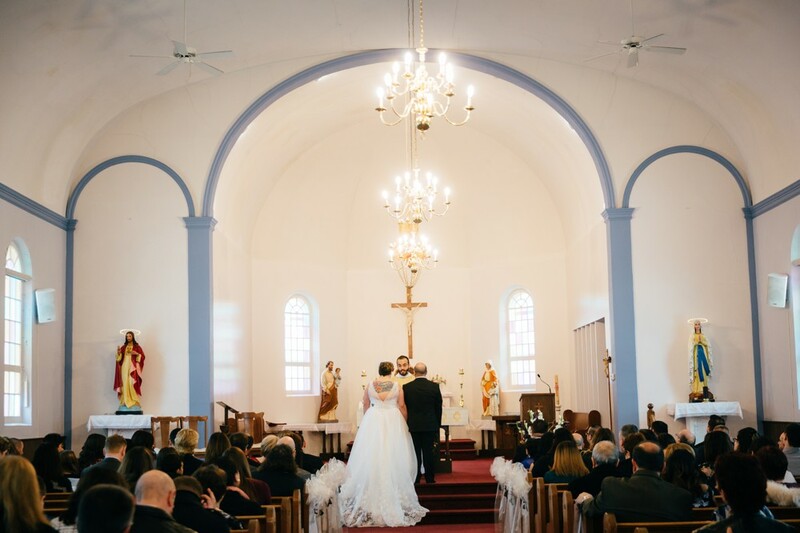 The house was buzzing with anticipation, with excitement, with complete love. 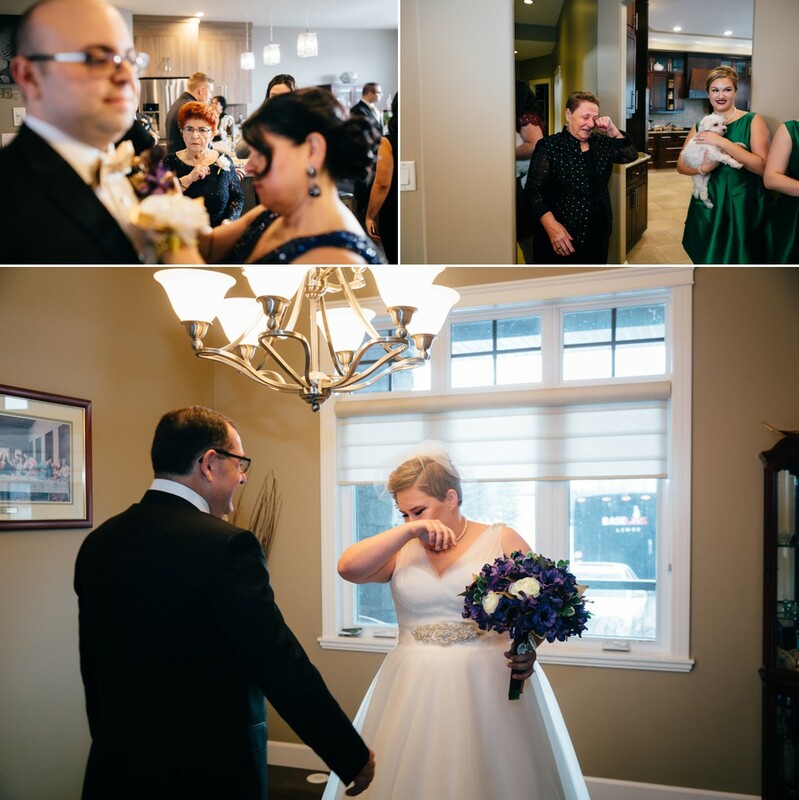 Massimo’s house was much the same: the family gathered, generations coming together to celebrate this momentous moment in two people’s lives that they love. 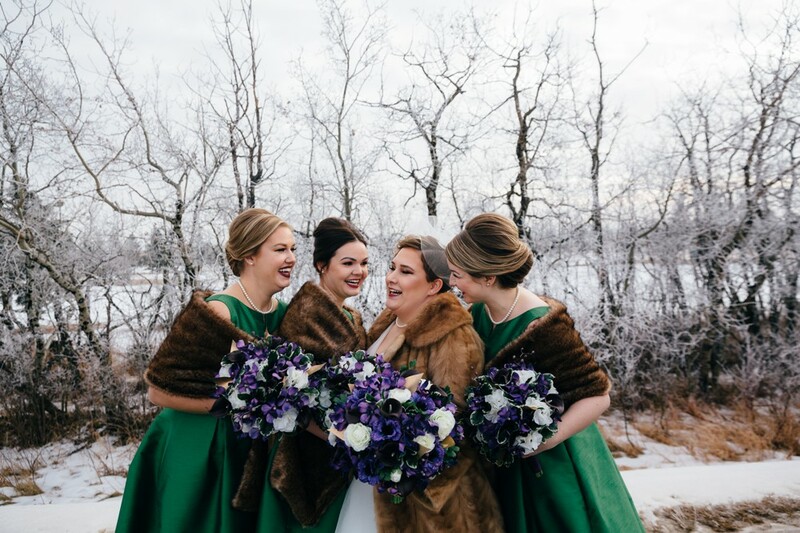 The older I get, the more I realize how much joy a wedding brings the whole family. 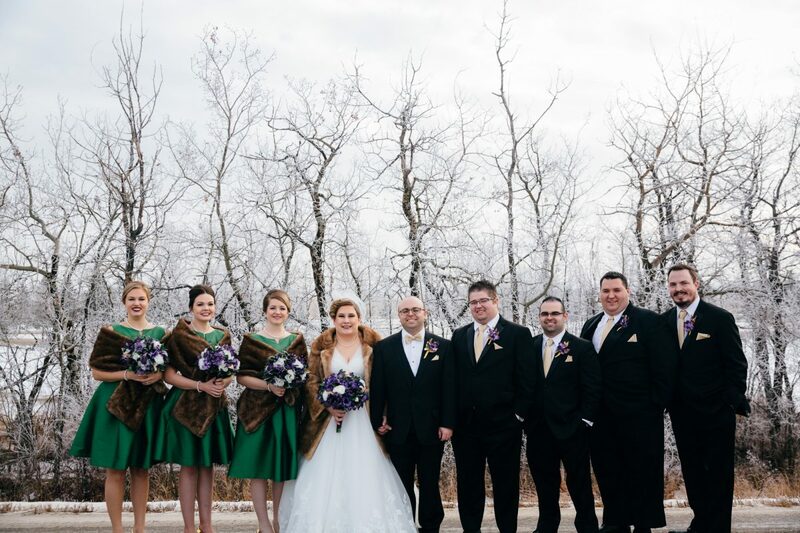 It truly is about two families joining! 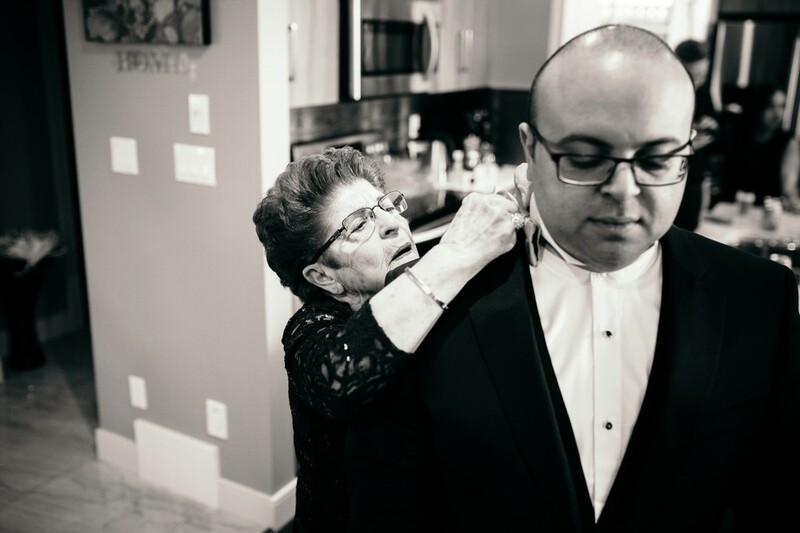 As Theresa’s grandma cried as Theresa got her dress on, I tried to imagine how it would feel to watch my kids get married, then my grandkids. 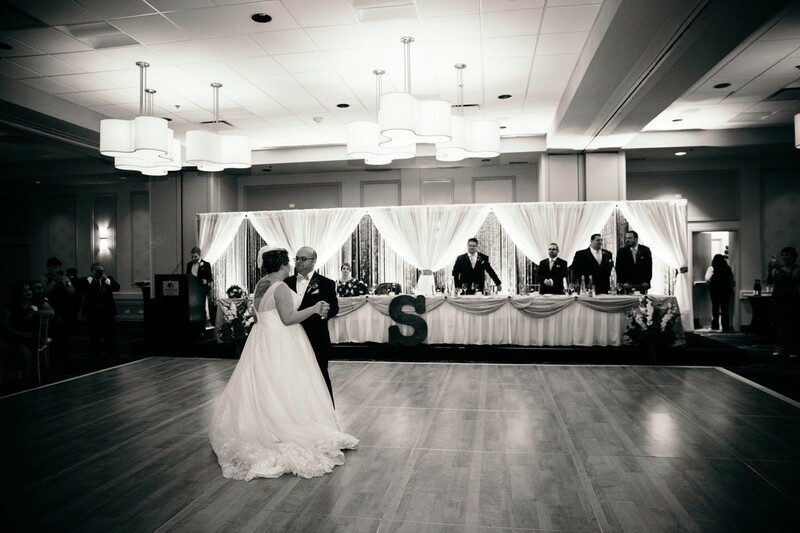 Wouldn’t that be the craziest feeling?! 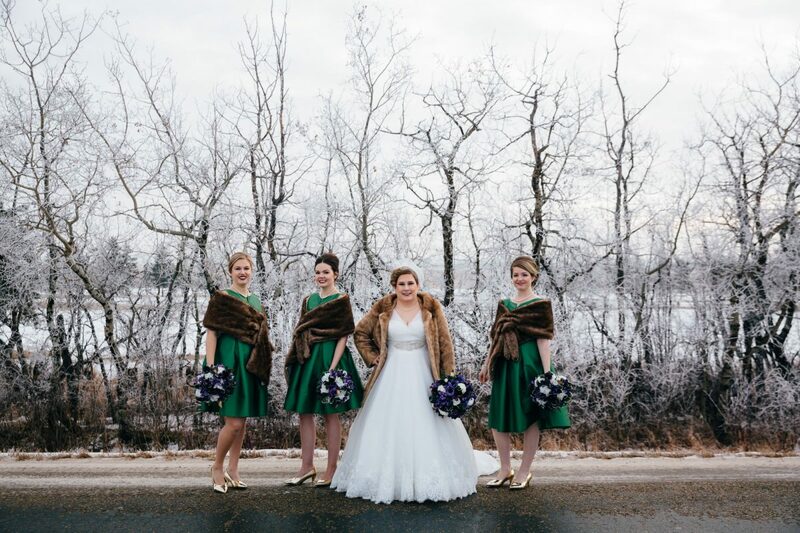 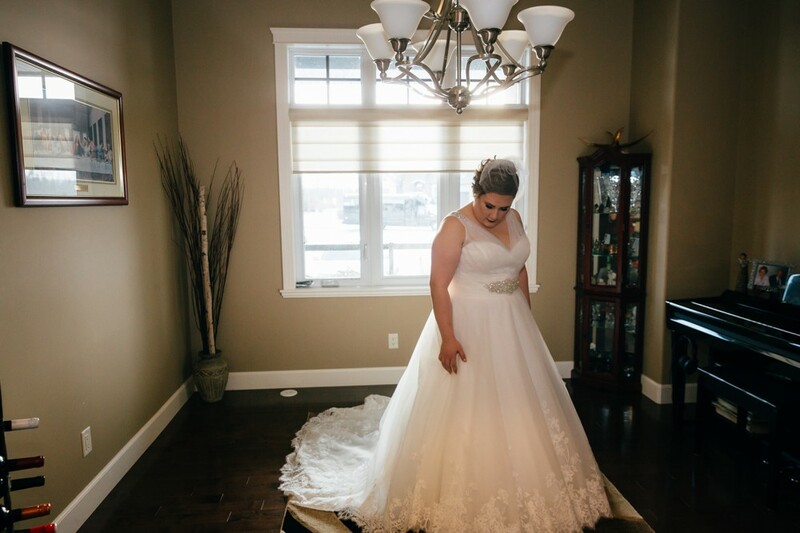 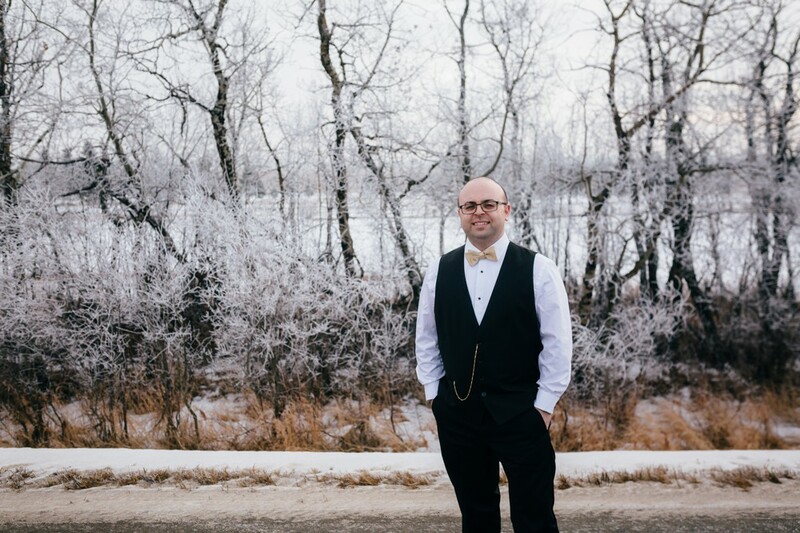 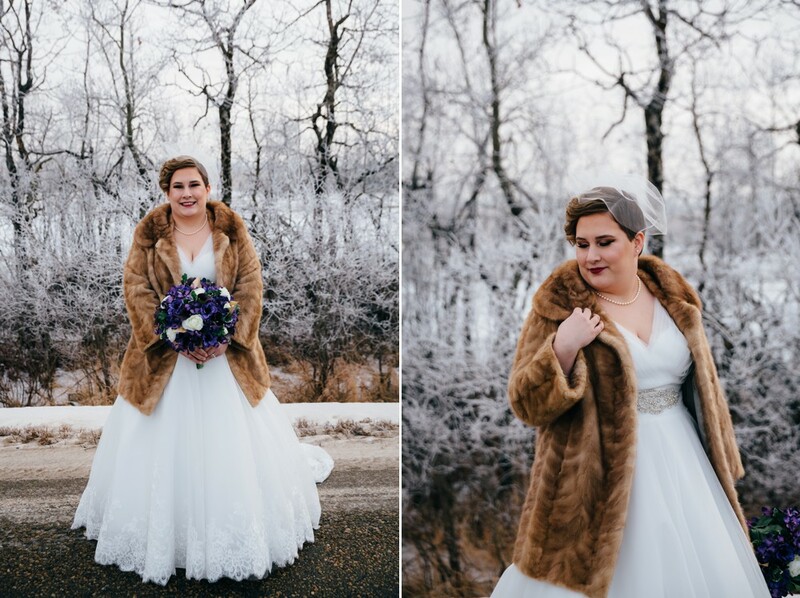 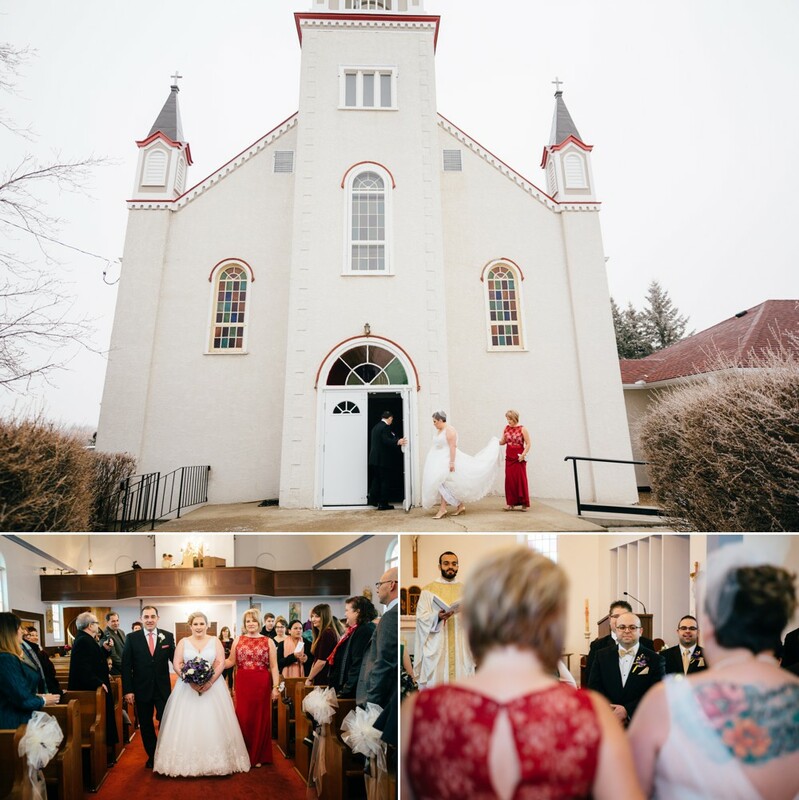 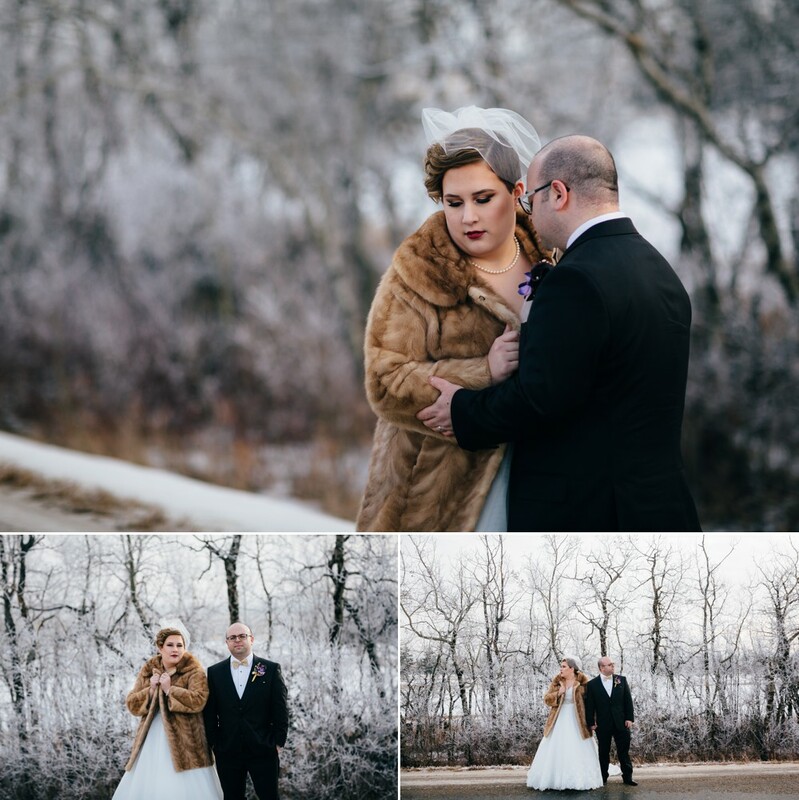 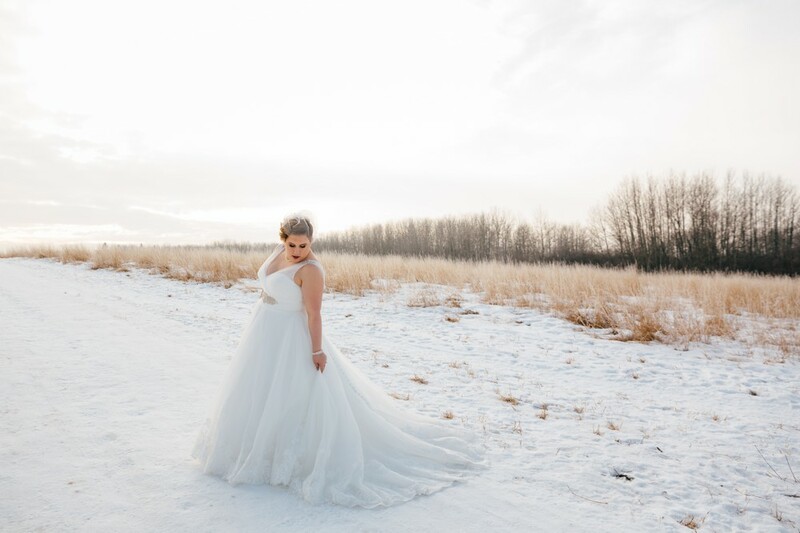 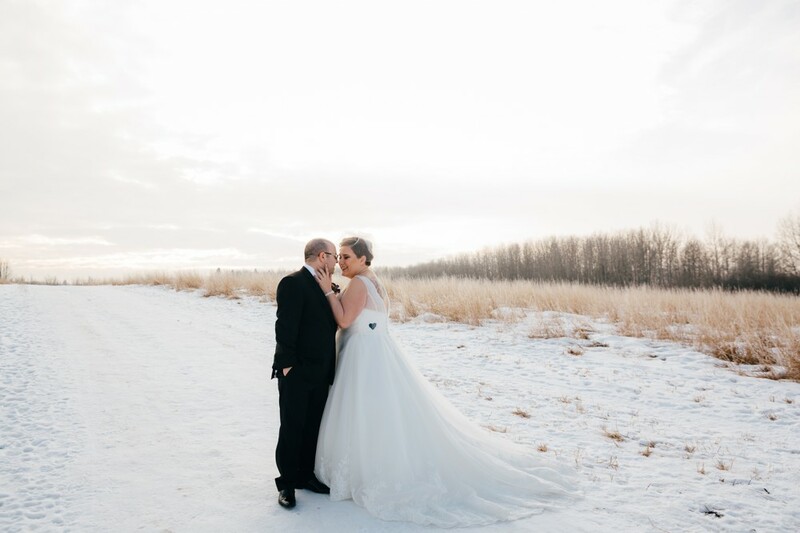 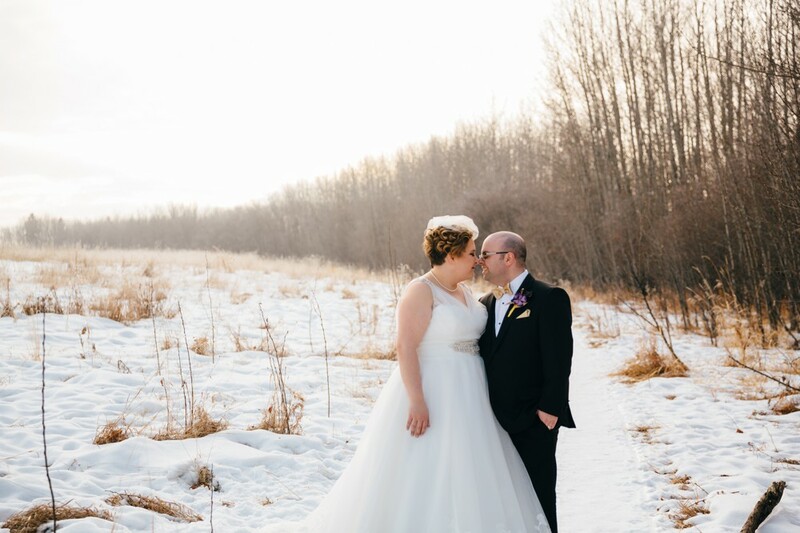 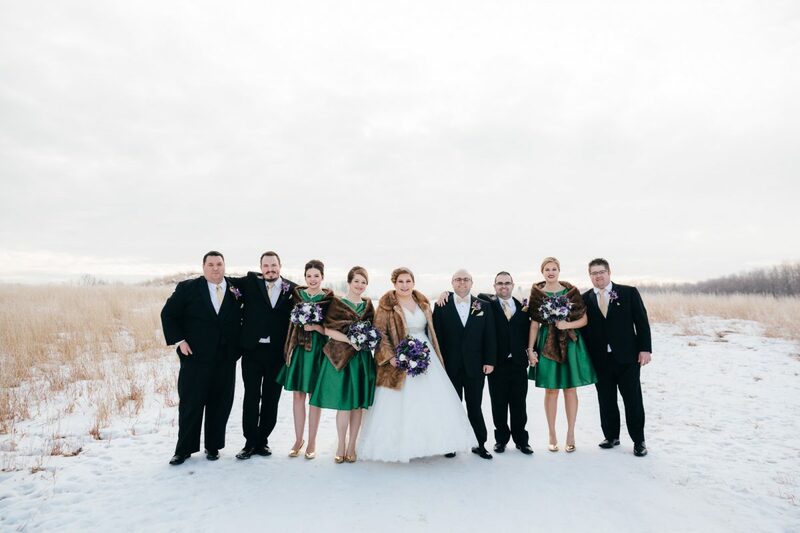 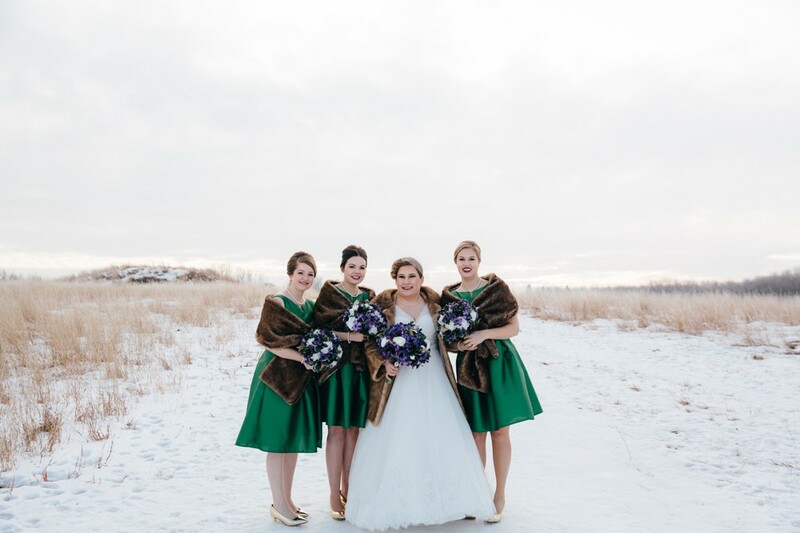 Theresa and Massimo’s Edmonton Winter Wedding was definitely one for the books. 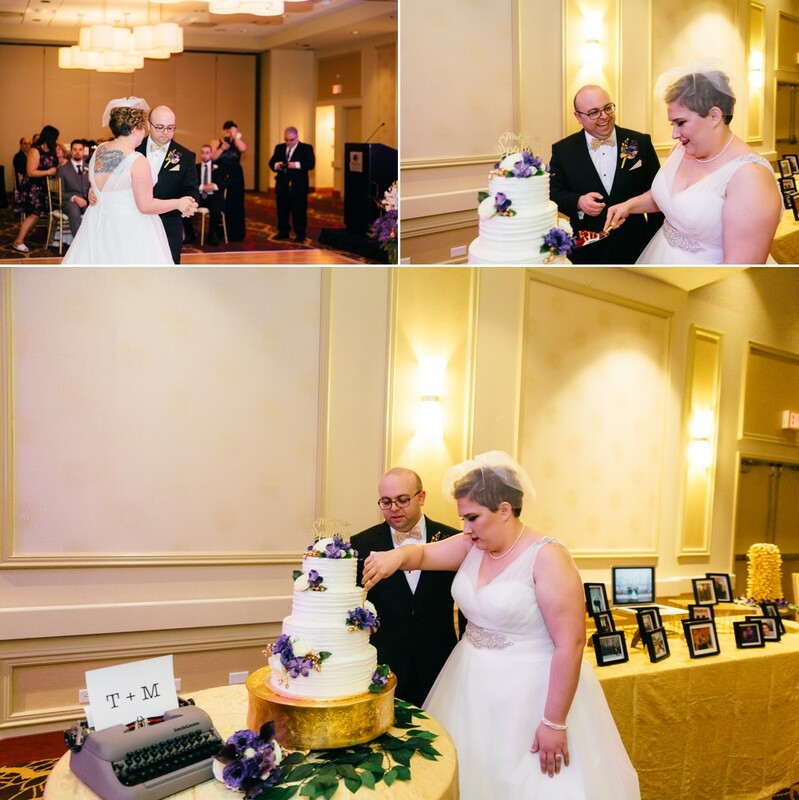 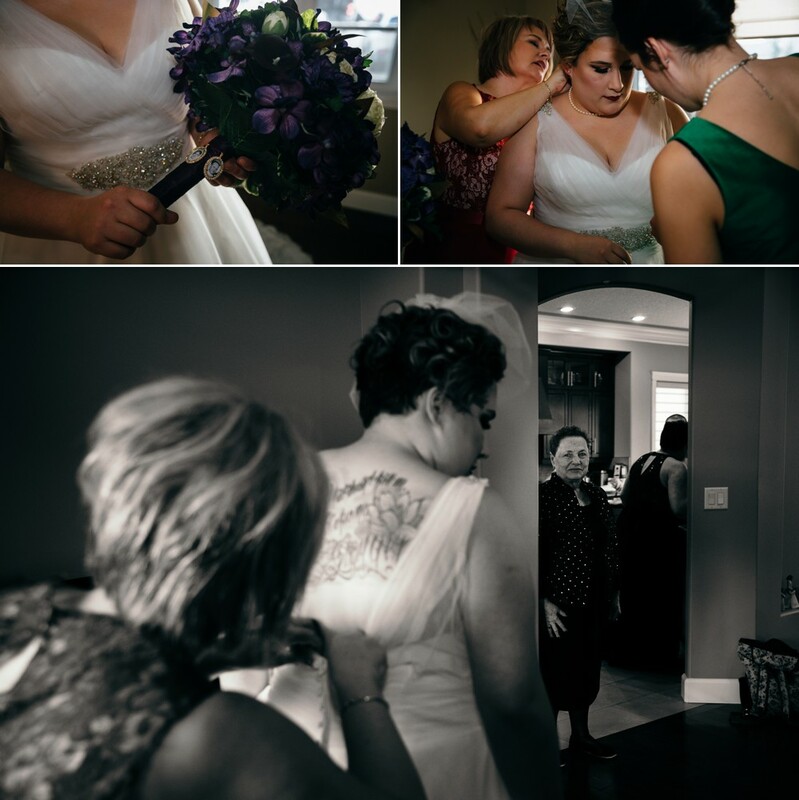 We met Teresa when she was a bridesmaid in her sister’s wedding (check it out here! 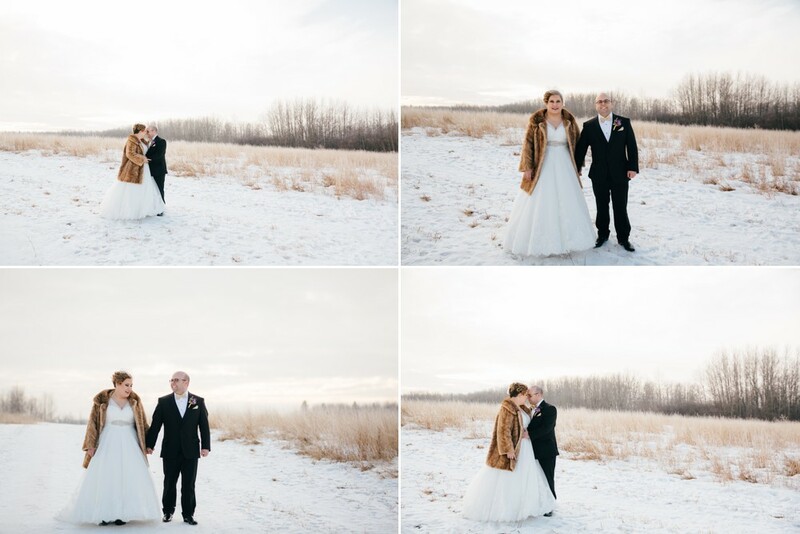 ), and so we knew the day was going to be amazing. 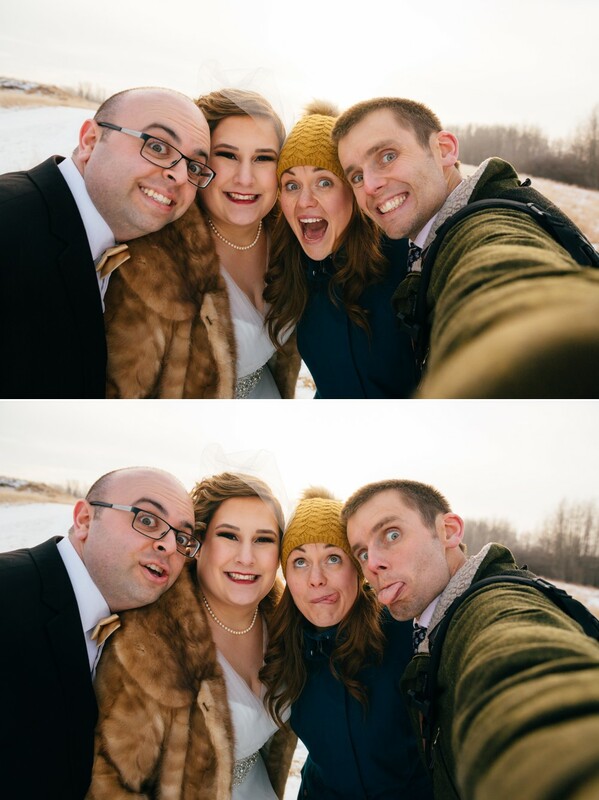 These two are incredibly family orientated, and it showed through the whole day. 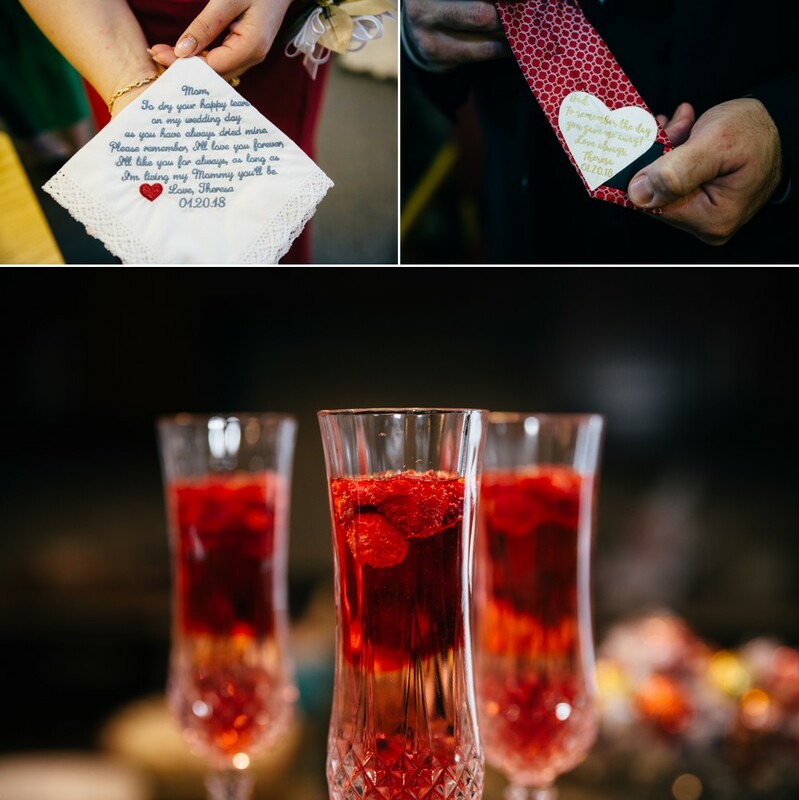 They thought through so many details, and added so many personal touches to make the day their own. 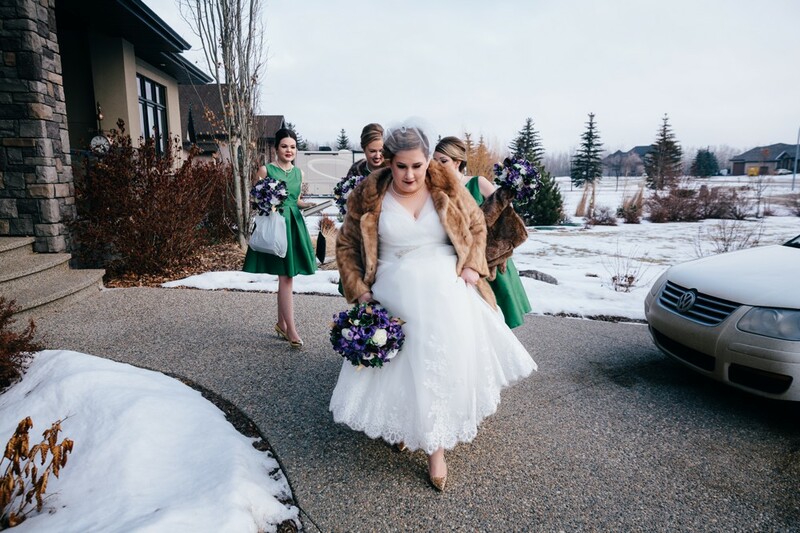 From Theresa wearing her grandmother’s fur coat, to the coke bottles, to the lovely cake, it all just helped their personalities shine through. 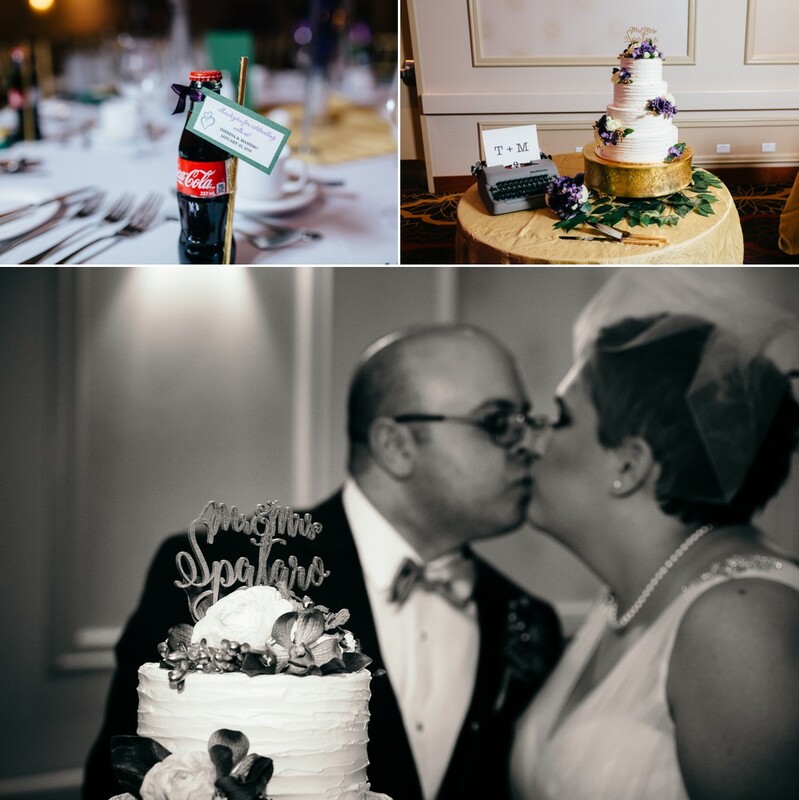 Theresa and Massimo, your wedding was classy, friendly, so family orientated and so FUN! 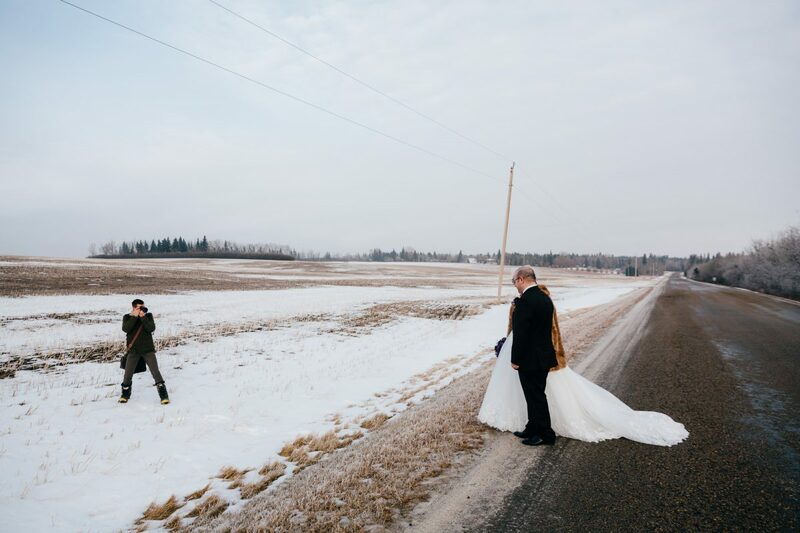 Let’s be honest, it was pretty darn cold too, but we were quick, and the cold was easily forgotten. 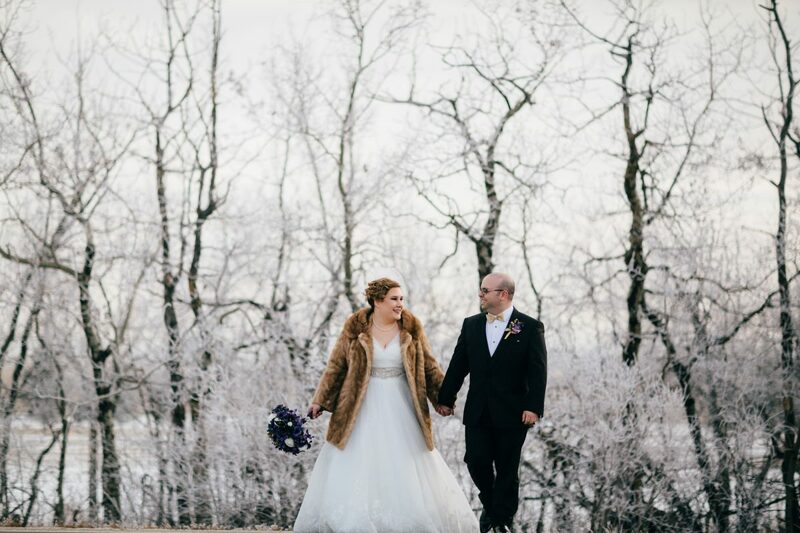 THANK YOU for having us. 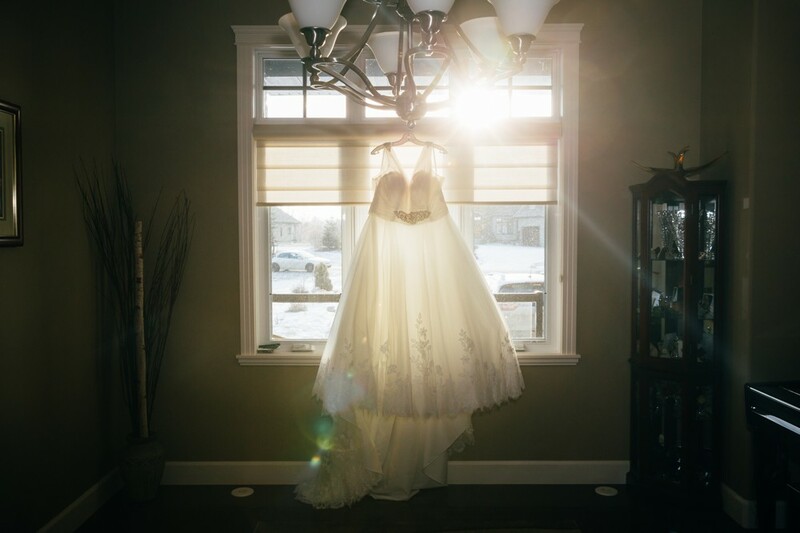 For such a wonderful day. 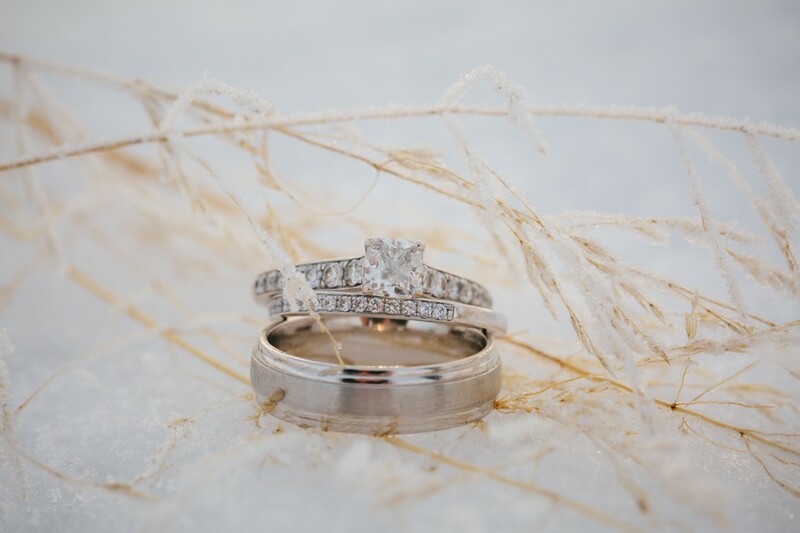 For the fun, and for braving the snow!